FOR LANDLORDS Hassle-free income is easy with 1 Click Move. We can simply value and fill your property, or we can manage everything on your behalf. There’s good financial news, too: our sliding scale means that the longer we manage your property, the less we charge. If you’ve been looking around for an agency, make sure you don’t choose some fly-by-night to look after your investment. Welcome to Anglo Homes, your local agency for hassle-free property rentals and tenancies. Our online property database enable you to access a diverse range of rental properties, offering a complete service for finding the best homes for tenants and the best tenants for landlords. Our team of qualified professionals offer advice across the broad spectrum of property from tenancy agreements to lease negotiation; repairs and maintenance to regulations and legislation. Around Town Flats is a specialist lettings agent dedicated to providing an unrivalled lettings service to ensure that you find the perfect home, whether you are a student or professional. Around Town Flats also offers a suite of services to Landlords so be sure to check out our Landlord's page for more information on how we can make your life easier. Offering Properties for rent in Manchester with Full Management Service. Professional & Student Accommodation with 200+ lettings on our books. We are an independent estate agents with over 40 years experience , with offices in Manchester & Cheshire specialising in residential & commercial lettings and property Management. We provide our clients with a bespoke service, local expertise with a dedicated and qualified team,waiting to assist you with your next property move be that letting renting or property investment / development. Callaghans is an independent estate agent specialising in residential sales and lettings. Situated in the heart of the vibrant Gatley village and with market leading offices in Heald Green and West Didsbury. Your experience will be one of friendly proactive property experts who go the extra mile, giving you complete visibility every step of the way. 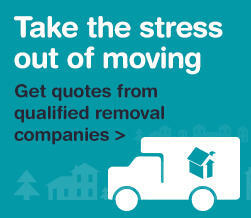 Moving house does not have to be complicated - you just need an estate agent like Callaghans. Welcome. Tenants Unlike many agencies, we do not charge you for registering with us. We don't charge you for checking standard references and we do not charge you for signing a lease. In fact, we understand that moving home can be an expensive and potentially stressful time so we don’t charge any fees whatsoever to our tenants and we do all we can to make your move as smooth and pleasurable as possible.